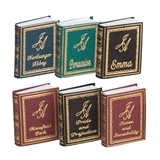 This handcrafted traditional book set from A Novel Idea is an affordable and realistic way to fill bookcases. 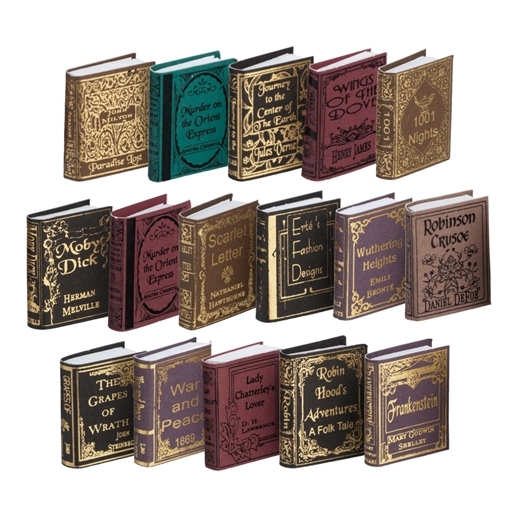 Add literary accents throughout the house! 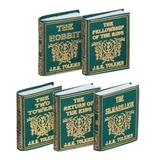 The sturdy covers have elegant gold foil printing. 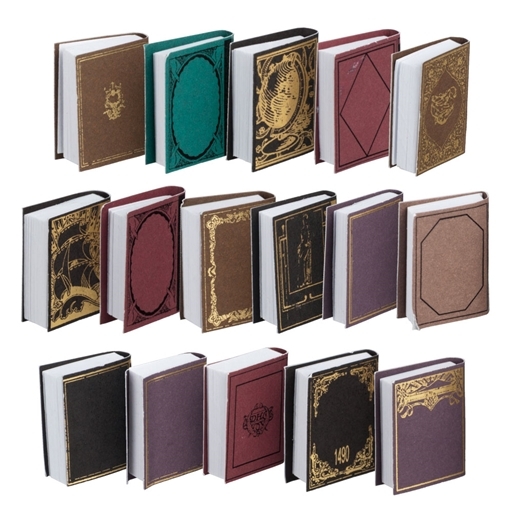 The inside pages are blank. 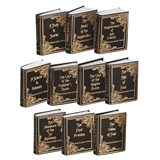 Fill you mini book shelf with assorted classic titles from a variety of authors. Titles may vary.